Sacred Tree (Sthala Vriksham) : Vilvam tree. This is the 11th sthalam on the southern side of river Cauvery. 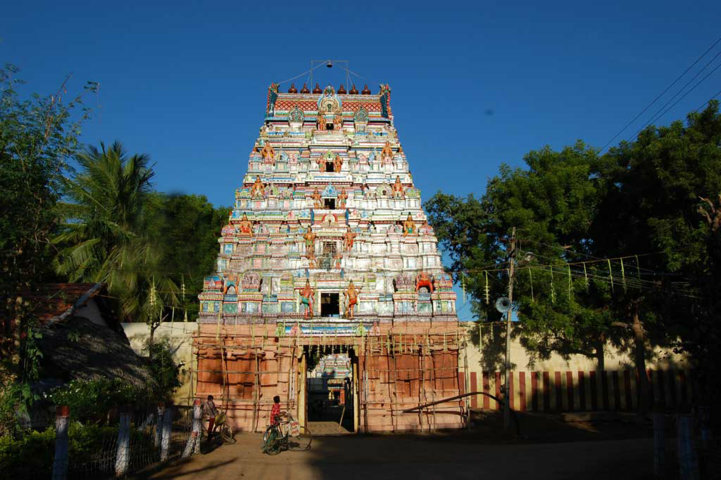 Thirunavukkarasar has sung hymns in praise of Lord Shiva of this temple. Lord Shiva graces in the temple as a swayambumurthy. Of the Sapthasthana (seven sacred places) this is the sixth. The place also has a Mutt established by Saint Tirunavukkarasar. Veena Dakshinamurthy, Arthanareeswarar, Bikshadanar, Sapthamadhas and Vinayaka grace in the shrines in the prakaras. 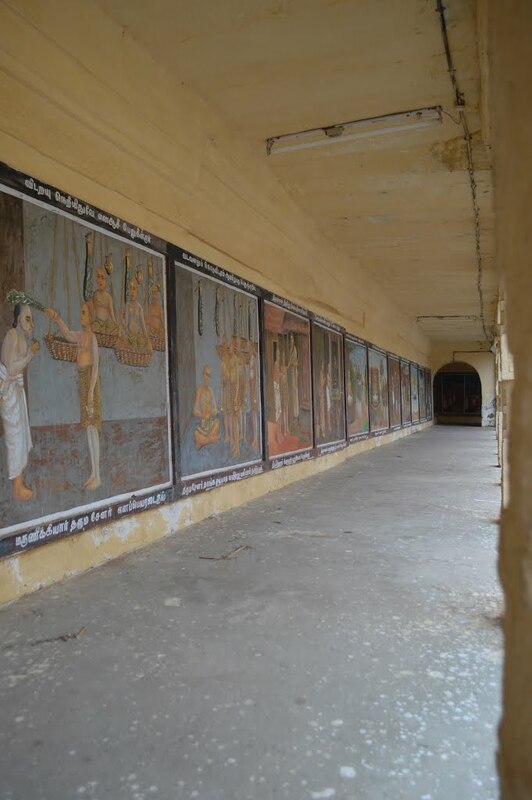 The history of Nalvar – Gnanasambandar, Tirunavukkarasar, Sundarar and Manickavasagar are painted on the wall. There are also the Somaskanda Mandap and Nataraja Sabha. 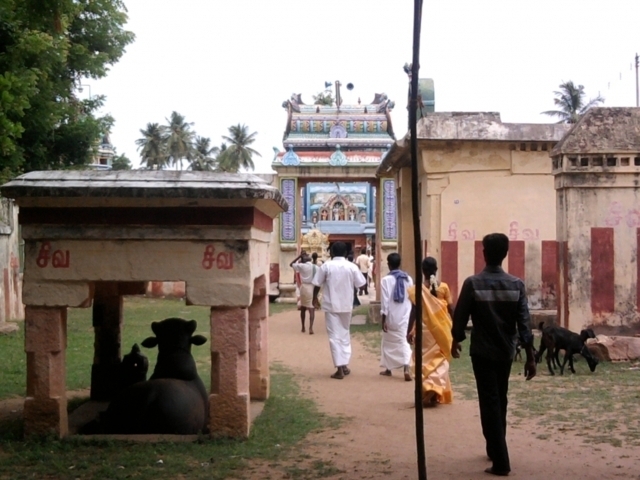 To get Lord shiva’s dharshan for Thiruganasambandar, Nandhi Bhagavan moved to left side. Lord shiva asked Ganga to come from the well for Kasiba Munivar. Bhoomagal worshiped the lord, hence this place is called as Poonthuruthi. A little elevated place between two rivers is also called as Thuruthi. Painting of Thirunavukkarasu’s biography on the walls of outer prakaram. 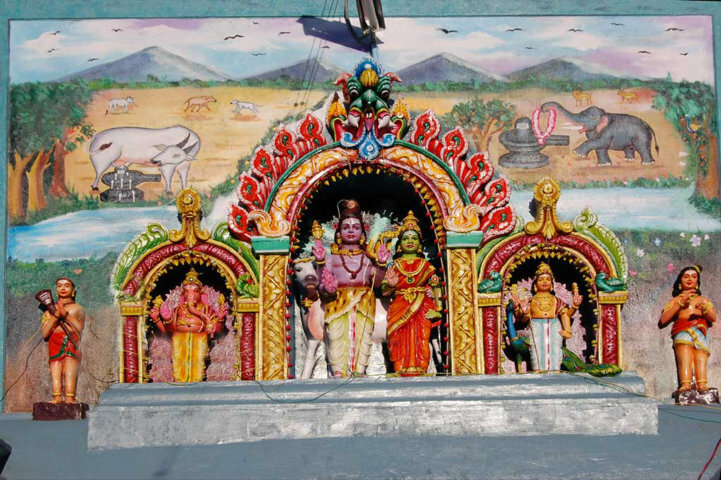 Indira, Lord Vishnu, Mahalakshmi, Sun and Sage Kashyapa worshiped Lord Shiva in this temple. Indira got cured of his illness by making a flower round in the temple. 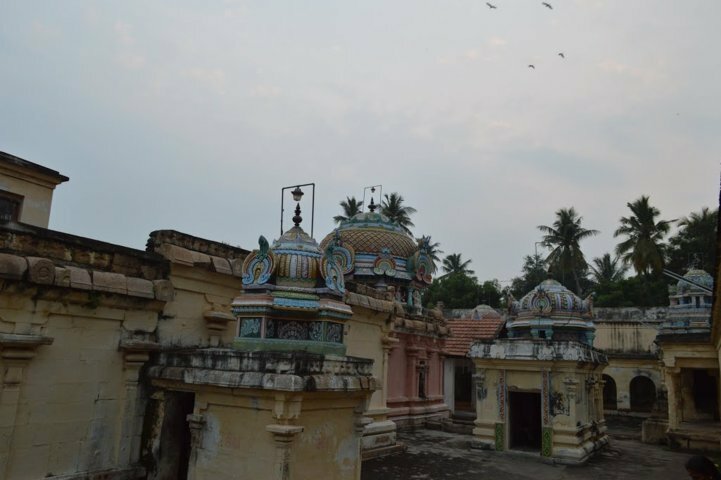 Two Vinjayas (a community in the upper world) cursed to be eagles got back their real personality worshiping in this temple. Places between rivers are called Thuruthy. This place is in between Cauvery and Kudamurutti rivers. There is one such place (Kuthalam) near Mayiladuthurai. Saint Tirunavukkarasar did his services called Uzhavarathondu here. He was holding a tool in his hand called Uzhavaram with which he was removing the thorny bushes on the way to Shiva temples to make the path comfortable for the devotees to walk safely. When Saint Gnanasambandar was hesitant to step on the soil serviced by Tirunavukkarasar, Lord Shiva asked His Nandhi to move away to give darshan to him, according to the sthalapuranas. It is here Tirunavukkarasar carried the palanquin of Ganasambandar. This place is named Sambandar Medu near Tiruvalmpozhil and Vellamparambur. There is also a mutt established by Tirunavukkarasar a little far away opposite the temple. This is a vast place divided as west and east. The temple is in the western division. Indira, king of Devas in the celestial world, worshiped Lord Iyarappar, took the Cauvery further east and made places fertile. On this run, Kandiyur was the first on the way. Then came poonthuruthi with river sand. There was banyan tree on the western side at a higher level. This place was soft as flower (poo in Tamil), the place came to be known as Poonthuruthi. This is mentioned in Thevaram hymns. Places between rivers are called Thuruthi. There is also such a thuruthi called Kuthalam in the eastern side. It is a popular story that Indira was cursed by Rishi Gautama to have 1000 ugly signs on his body for his immoral desires. While he was passing through many Shiva shrines for remedy from the curse, he came here, worshiped Lord Shiva with flowers and got the total relief. As Indira worshiped the Lord with fragrant flowers, the place was so named, according to another story. That Lord Vishnu and Sri Mahalakshmi worshiped here is evidenced by the sculptures in the Tower built during the rule of Naickers. 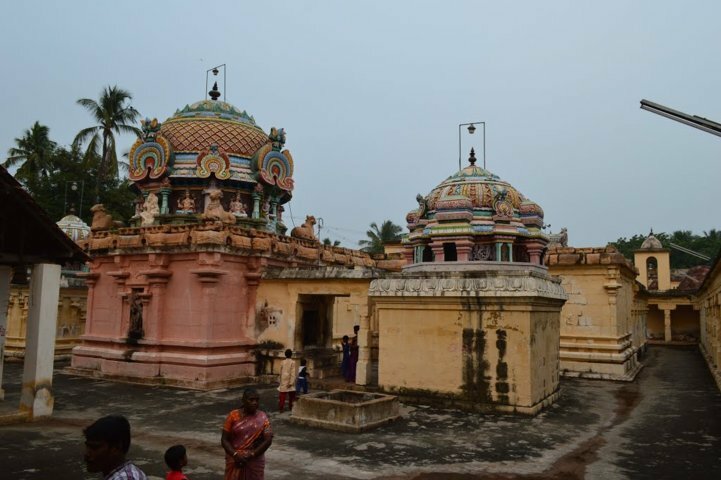 Other stories relating to the name of Poonthuruthi is that Poomagal worshipped here, Nandideva supplied Flowers (Poo) for Lord’s wedding and that many places in the Chola region were covered with dense flower gardens. This was later translated as Pushpavanam (Pushpa – poo, vanam –dense gardens) in the year 1782 during the rule of Thanjavur Tulasi Maharaja. Many stories are in rounds regarding the name of the place. It is in this sacred place Tirunavukkarasar bore on his shoulders the palanquin of Gnanasambandar. Also he established a mutt here. In this temple Lord Nandikeshwara can be seen moved to a side to some extent, keeping a good view of the presiding deity. 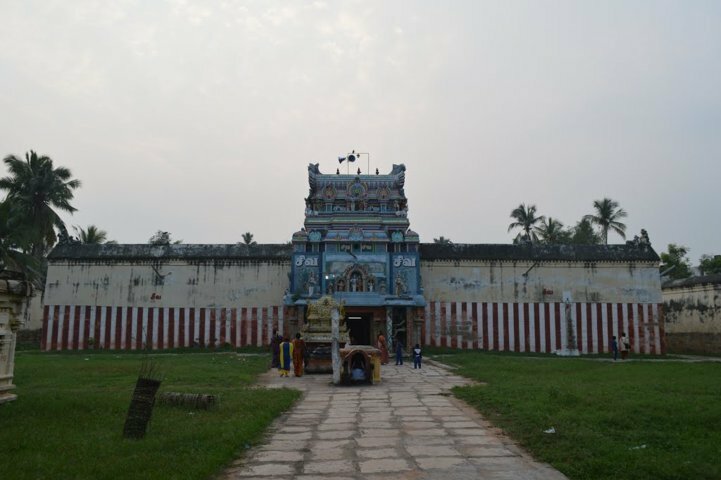 This is one of the sacred temples where Appar conducted his self-less service (Uzhavara Thiruppani) to Lord for several years. He kept the temple premises and its surroundings spick and span. During this period of time, Appar composed many glorious verses praising the Lord. 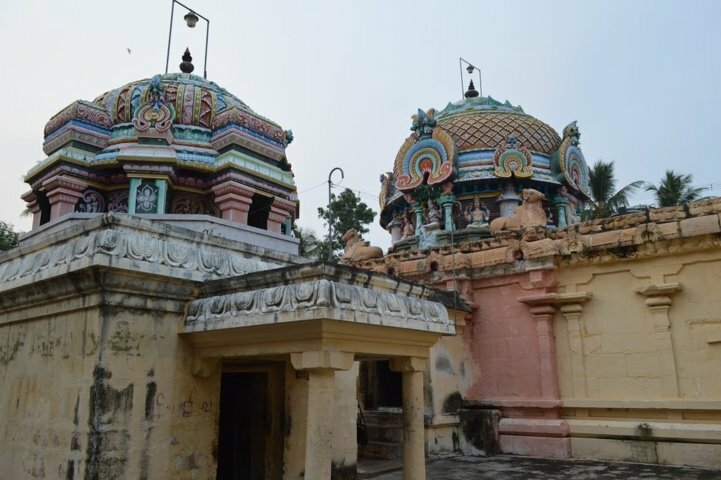 Thiru Gnana Sambandhar visited this temple and found the temple premises were kept immaculate by Appar. Sambandhar was hesitant to taint the floor and refused to step inside the temple. Lord was pleased at the humbleness of Sambandhar and instructed Lord Nandikeshwara to move to one side so that Sambandhar can have the clear vision of Lord. The legend has that Thiru Gnana Sambandhar on his way back from the Kingdom of Pandya (Madurai) happened to learn about Thirunavukkarasar and his self-less service (Uzhavarappani) to Lord. Sambandhar’s yearning to meet the zealous devotee Appar has become irrepressible and proceeded to Thirupoomthurai. Likewise, Appar also came to known about the visit of Thiru Gnana Sambandhar to his village. Appar who was always treated himself as less-important does not want to reveal his identity; he stepped inside the crowd to carry the ceremonial carriage in which Sambandhar was travelling. When the carriage was nearing to the village, Sambandhar enquired about the hermitage of great Saint Appar. Appar generously answered that he was the blessed one who carrying the ceremonial carriage (Ungal Sivikayai Thangum Peyar Petru Ingullen). Instantaneously, Sambandhar dived out of the carriage and passionately paid obeisance to Appar, both the saints were in a state of bliss and compassionately paid reverence to each other. Sambandhar continued to stay at the hermitage of Appar for some years and enjoyed the heavenly company of two intellectuals together. Location: Tiruppoonturuthi is located 3 Kms to the west of Tirukkandiyur and at a distance of less than 2 Kms from Tiruvaalampozhil. Nearest town is Tiruvaiyaru. Town bus services are available from Tiruvaiyaru to go to Tiruppoonturuthi. Phone: +91 - 4365 - 322 290 , +91 94865 76529.